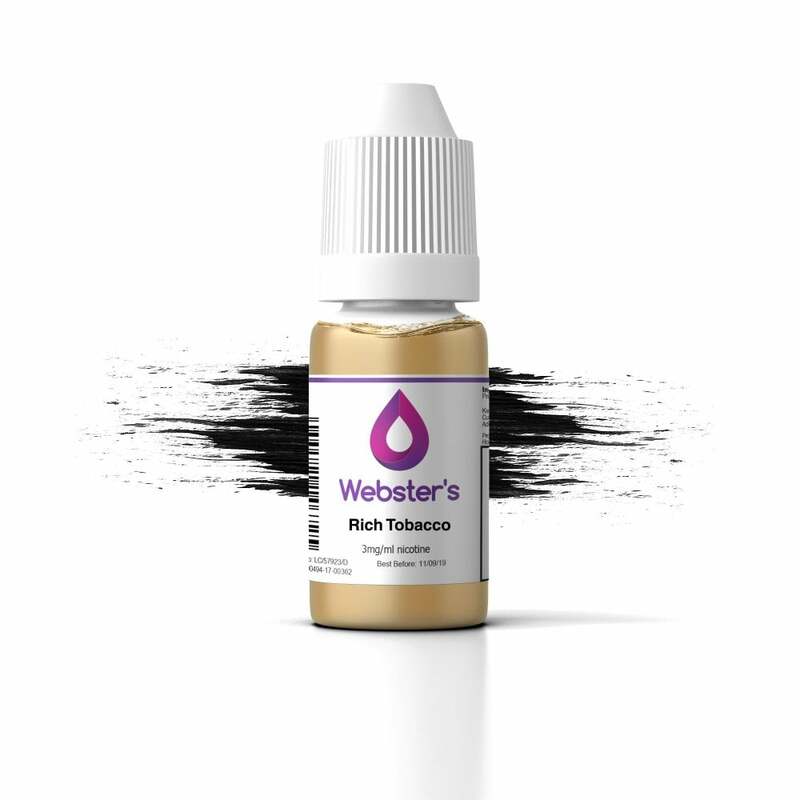 Rich Tobacco by Webster’s One Pound Wonder is a tobacco e-liquid with a difference. Reminiscent of premium tobacco brands, Rich Tobacco is smooth but decidedly robust, with an authentic taste and a flavour you won’t forget. flavour (to reduce my nicotene intake) - would certainly recommend to anyone liking roll-ups previously - so far so good. Perfect taste very much like the real thing. Rich, full flavoured liquid without the bite or bitterness of some. Would need something special to get me to change! The best I have come across. Having recently tried & left a favourable review for USA Red i have no hesitation in doing the same for this Rich Tobacco. If like myself & you really like your tobacco flavours then I'm sure you will appreciate the smooth smokey flavour of this eliquid. Especially for a pound you really need to give this a vape. High quality taste and aroma from using this eliquid . Great value ... good taste too!